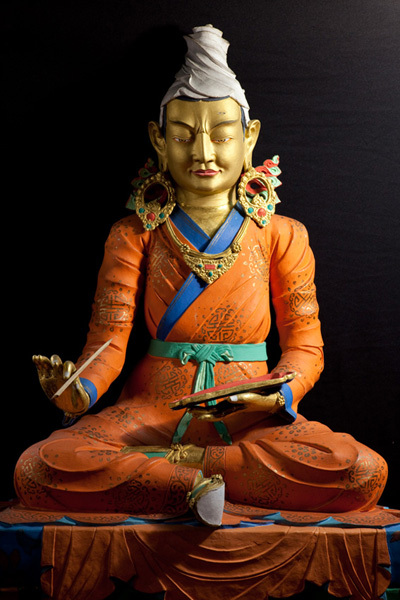 His Eminence Jamgon Kongtrul Rinpoche, Lodro Chokyi Nyima, born in Central Tibet in 1995, is the fourth in the garland of incarnations of the enlightened mind of Jamgon Kongtrul the Great, Lodro Thaye (1813 – 1900). The second and third were Jamgon Kongtrul Palden Khyentse Oser (1904 – 1952) and Jamgon Kongtrul Lodro Chokyi Senge (1954 – 1992). 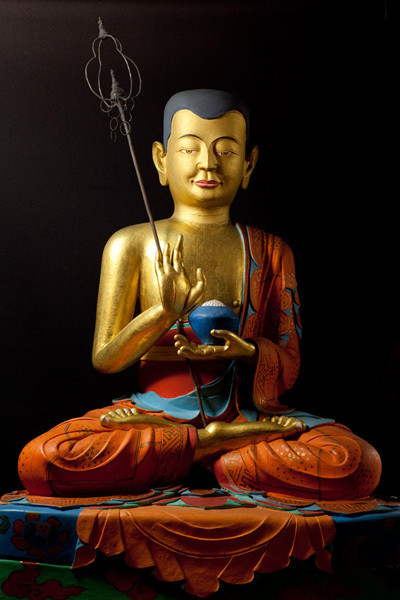 The source of the myriad past incarnations and emanations from the time of Buddha Shakyamuni that emanated into the great spiritual being, Jamgon Kongtrul Lodro Thaye, is the Buddha Vairochana. The incarnations included many great masters who contributed immeasurably to the preservation of the teachings and practices throughout history. Among them were the exalted Ananda, principal attendant and holder of the first wheel of the Buddha’s teachings; King Indrabhuti to whom the Buddha revealed the Guhyasamaja Tantra; King Suchandrabhadra, the first king of Shambhala to whom the Buddha revealed the Kalachakra Tantra; the master Aryadeva, disciple of Nagarjuna, who defeated the heretics and is among the Six Ornaments of the World; Krishnacharya who flourished the teachings of Vajrayana in general and the practice lineage of Chakrasamvara in particular Thönmi Sambodha who composed the Tibetan alphabets and grammar; Lotsawa Vairochana, the great nirmanakaya who was among the first monks in Tibet, the most exalted translator in the history of transmissions of the Tantra from India to Tibet, and one of the 25 great disciples of Guru Rinpoche. 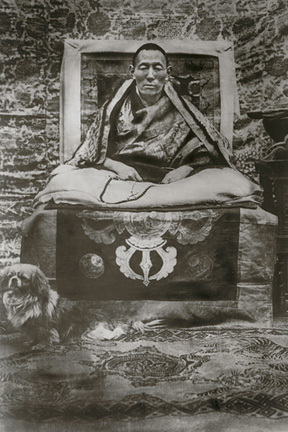 Khyungpo Naljor, founder of the Shangpa Kagyu lineage, Taranatha, the great Jonang master and historian,Thöpai Dumbu Tsal of Shantapuri and so forth. 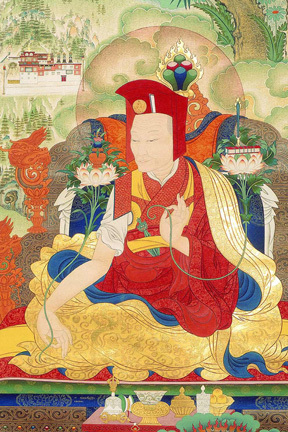 A Supplication to the Garland of Rebirths of Lodro Thaye, the Excellent Lord of Love, by Jamyang Khyentse Wangpo and written down by the Tekchog Dorje, the 14th Gyalwa Karmapa. The past lives of Jamgon Kongtrul Lodro Thaye is told in his autobiography, A Gem of Many Colours, available in English as part of the Tsadra Foundation series translated by Richard Barron and published by Snow Lion. "If you examine the extensive record of teachings that Kongtrul Rinpoche received, it seemed as though he spent his entire life solely in listening to teachings. If you take into account his activities in conferring empowerments, oral transmissions, and instructions, it seems as though he spent his life solely engaged in transmitting teachings. If you consider his works alone, foremost among these are his marvellous "Five Great Treasuries", it seems as though he spent his whole life doing nothing but writing. If you look at the ways in which he pursued his spiritual practice, it seems as though he was sealed away in a retreat centre for life." 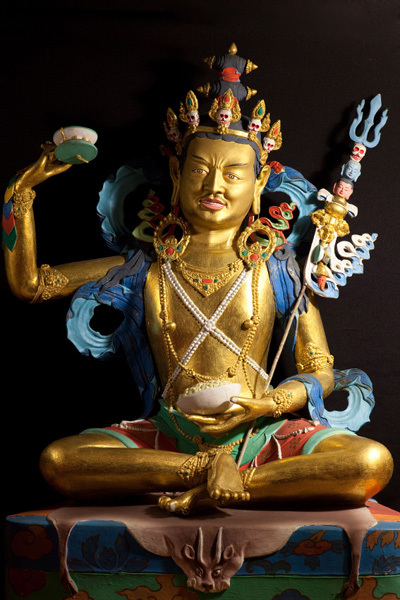 Prophesied by the Buddha, Guru Rinpoche, and numerous other great and accomplished masters, the first Jamgon Kongtrul Lodro Thaye was a luminary among the brightest stars in the galaxy of Tibetan scholars and siddhas, and among the founding masters of the 19th century Rime movement in Tibet. Born in 1813 in Rongyap on the slope of Mount Pema Lhatse, he abided by the Vajra command of his Root Teacher, the 9th Tai Situ Pema Nyinje Wangpo, and renounced his wish for a solitary life of a renunciate and took upon himself the mantle to benefit the teachings and sentient beings. Accomplished in the ten ordinary and extraordinary branches of knowledge, he composed the incomparable Five Great Treasuries, a work of non-sectarian bias, that brought together a great number of teachings from both the old and new traditions, including the lineages of oral teachings, hidden treasures (terma), and teachings of pure vision. This great work also served to keep alive the transmission of teachings that were becoming lost in Tibet, and kept intact all the teachings and transmissions which may have become lost in the subsequent turmoil that followed political changes in the country half a century later. A prodigious and prolific writer, an exalted yogi, teacher, master, physician, terton, peacemaker, and so forth, Lodro Thaye engaged in an amazing array of excellent activities that served all traditions of Dharma without any bias. He treated everyone equally and all ranks of people including poor farmers benefitted from his advice. After a long and meaningful life, Lodro Thaye dissolved his mind into the sphere of supreme Dharmakaya at the age of 87 years about midnight on the 27th day of the 11th lunar month of the earth-pig year, 1900. The Buddha, Guru Rinpoche, and other great masters have prophesied that Lodro Thaye’s subsequent rebirths will culminate as the last Buddha of this Good Aeon, the glorious Buddha Adhimukta (Tib. rNam Par sNang mDzad ), whose qualities, activities, and influence will be that of all the preceding Buddhas of the aeon combined. The second in the garland of incarnations, Jamgon Kongtrul Palden Khyentse Oser was the son of the 15th Gyalwa Karmapa, Kunzang Khakhyab Dorje. Born in the wood dragon year, 1904, at Samdrub Choling, Dowolung, Tsurphu, he was recognised as the incarnation of Jamgon Kongtrul Lodro Thaye and enthroned by the Karmapa, his father and Root Teacher, who was to him Vajradhara. He then assumed the seats of activities at Tsandra Rinchen Drak and Dzongsho Deshek Dhupe Phodrang. At Tsandra Rinchen Drak, he reorganised and maintained the activities there mainly for monastic retreat and built a Lineage Temple dedicated to the 15th Karmapa and Lodro Thaye. Palden Khyentse Oser studied under the most accomplished masters of the time and was also fully educated by the Karmapa from whom he also received the complete transmission of the Mahamudra Lineage. Very disciplined as a monk, teacher, and guide, he was the most renowned Mahamudra masters of the period and transmitted the innermost Mahamudra Lineage to the 16th Gyalwa Karmapa Rigpe Dorje. He taught and transmitted many times over the sutras, tantras, and the Five Great Treasuries to innumerable monks, nuns, yogis, yoginis, disciples and devotees, inspiring them to practise and train in the great path of awakening. A main holder of the Karma Kagyu Lineage, he was, together with the 11th Tai Situ Rinpoche, a Root Teacher of the 16th Gyalwa Karmapa. In the spring of the water snake year, 1953, Palden Khyentse Oser journeyed to Thrangu Gompa in Jekundo, Yushu to perform the parinirvana pujas for the 8th Traleg Kyabgon. Departing from Tsandra Rinchen Drak, he indicated in a light-hearted way that he would not be returning. On the way, he called upon the 9th Sangye Nyenpa and told him that he might die. As it came to be, after having accomplished great deeds for the benefit of the teachings and sentient beings, Palden Khyentse Oser dissolved his mind into the supreme sphere of Dharmakaya in the Tibetan second lunar month in 1953, in the cave of Je Mipham Rinpoche at Thrangu Gompa, Jekundo. The third in the garland of incarnations, Jamgon Kongtrul Lodro Chokyi Senge, was a heart son of the 16th Gyalwa Karmapa Rigpe Dorje. He was born in Central Tibet on October 1st in the wood horse year, 1954 in accordance with the last testaments of Palden Khyentse Oser and the prophecy of the 16th Gyalwa Karmapa. The first child and grandchild of a family who enjoyed fine circumstances and repute, he arrived in India with his parents on pilgrimage in 1956. They remained due to the political changes in Tibet that followed not long after. Perfect in devotion to his Root Teacher, the 16th Gyalwa Karmapa, the Third Jamgon Kongtrul was exemplary as a monk, teacher, master, spiritual guide, friend, and humanitarian. Warm and compassionate, he made time and cared for everyone equally, receiving devotees everywhere, and listening to them attentively to see how he could help. Among many people, he made sure to approach those of more humble status to make them feel included. He brought together rich and poor, those of higher and lower status, and people of different communities and castes. Everyone was special to him and everyone felt that way. To all his monks and disciples, it was obvious that the 16th Gyalwa Karmapa was supreme in his thoughts. The wishes of the 16th Gyalwa Karmapa were his priority and fulfilling them became his activity. He served the Karmapa perfectly during his lifetime and continued to serve Him as if He was there even after the Karmapa’s parnirvana. Rinpoche attended to Rumtek Monastery, the Nalanda Institute, and all the Karmapa’s centres worldwide, guiding and holding them together. Everywhere and all the time, he reminisced and shared stories about the 16th Karmapa. He also planned, worked, and prepared endlessly for the return of His supreme incarnation, the 17th Gyalwa Karmapa. We can say that the Third Jamgon Kongtrul Rinpoche gave his all to the Karmapa and to the Kagyu Lineage in particular, and the Buddhism in general. 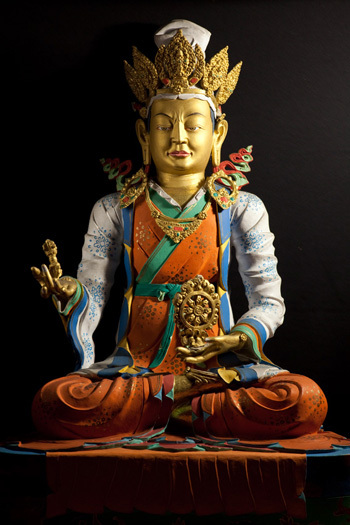 A great humanitarian, the Third Jamgon Rinpoche established Paramita Charitable Trust (India) and Ananda Sangh (Nepal) to facilitate Buddhist activities and social projects aimed at the poor and needy in the areas of health, education, welfare, and for the preservation of the culture, customs, and values of the Himalayan people. 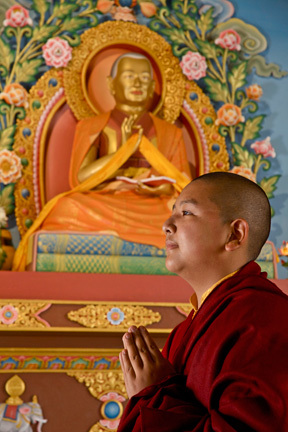 Inspired by his vision and ideals, his monks and disciples have kept on turning the wheel of his activities. 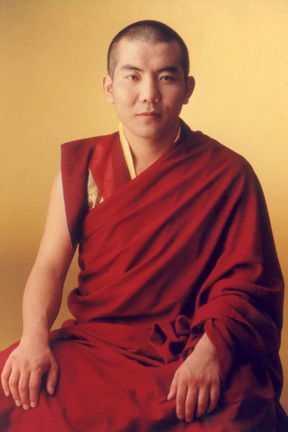 The life of the Third Jamgon Kongtrul Rinpoche was exemplary of Devotion, Love, and Compassion. His life and conduct are part of his legacy to us.